On June 28 the U.S. State Department released its Trafficking in Persons Report (June 2018),  pursuant to a U.S. federal statute (The Trafficking Victims Protection Act of 2000, as amended), requiring annual reports on human trafficking in every country of the world. After looking at the background for this report, we will examine its report on Cuba. The portion of this Profile about Cuba’s foreign medical missions’ alleged use of forced labor is highlighted because, as discussed below, this blogger believes such allegation is erroneous. There are at least two major objections to this report on Cuba. First, there is no mention of the bilateral U.S.-Cuba discussions about human trafficking that have occurred since the December 17, 2014, announcement of U.S.-Cuba rapprochement. Unfortunately the brief official announcements of such discussions do not provide details of the substance of the discussions. But such discussions may bear light on the U.S. report about Cuba. There is conflicting evidence on the coercion issue and there has been no adjudication of that issue. International medical aid has been a significant part of the Cuban people’s tradition of solidarity, and some Cuban medical personnel have said that such service had a major positive impact on their lives and medical careers. A detailed study by Indiana State University’s Emeritus Professor of International Politics and Latin America, Dr. H. Michael Erisman, rejects the accusation of forced labor. Medical education in Cuba is free and requiring medical graduates to pay the country back by such participation seems entirely appropriate and may indeed be a contractual or quasi-contractual obligation. 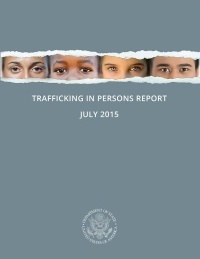 U.S. State Dep’t, Trafficking in Persons Report: June 2018. 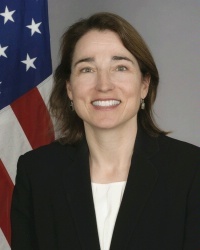 At the State Department’s Launch Ceremony public comments were made by Secretary of State Mike Pompeo and Kari Johnstone, the acting director for the Department’s Office to Monitor and Combat Trafficking in Persons plus 10 TIP Heroes from around the world. Earlier there was a background briefing for journalists. (See U.S. State Dep’t, Remarks at the 2018 Trafficking in Persons Report Launch Ceremony (June 28, 2018) ; U.S. State Dep’t, Senior State Department Official on the 2018 Trafficking in Persons Report (June 28, 2018). Some of the prior reports about trafficking in Cuba are discussed in the following posts to dwkcommentariess.com: U.S. Upgrades Cuba in State Department’s Annual Report on Human Trafficking (Aug. 7, 2015); Comment: Cuba’s International Medical Mission Doctors’ Reflections (Nov. 30, 2015); U.S. State Department’s 2015 Human Trafficking Report’s Objectivity About Cuba Is Still Unresolved (Nov. 16, 2015); U.S. Reasserts Upgrade of Cuba in Annual Human Trafficking Report (July 2, 2016); U.S. Senate Hearing on 2016 Trafficking in Persons Report (July 20, 2016); Cuba’s Unchanged Status in U.S. State Department’s Annual Report on Human Trafficking (Aug. 13, 2017). See these posts to dwkcommentaries.com about such mentions of bilateral discussions about human trafficking: This Week’s U.S.-Cuba Meetings in Havana (Jan. 18, 2015); U.S.-Cuba Bilateral Commission Sets Agenda for Future Discussions of Remaining Issues (Sept. 12, 2015); Results of Second Meeting of U.S.-Cuba Bilateral Commission (Nov. 11, 2015); United States-Cuba Bilateral Commission Meets To Review Normalization Status (May 18, 2016); U.S. and Cuba Hold Another Meeting of the Bilateral Commission (Sept. 30, 2016); U.S. and Cuba Continue To Implement Normalization of Relations (Jan. 17, 2017); U.S. and Cuba Hold Biannual Migration Talks (Dec. 12, 2017); U.S. and Cuba Hold Discussions About Human Trafficking and Migration Fraud (Dec. 15, 2017); U.S. and Cuba Continue To Confer Over Common Concerns (Feb. 2, 2018).